An Ivy Bridge core is 12mm², or 8% of the area of a 4C/GT2/8MB L3 chip. Well, Atom was not aimed for servers and it had SMT. And trust me, it helps! > actually cost a few percentage points it would still be in the desktop core - it would just be fused off. Which it is, for quite a lot of models. 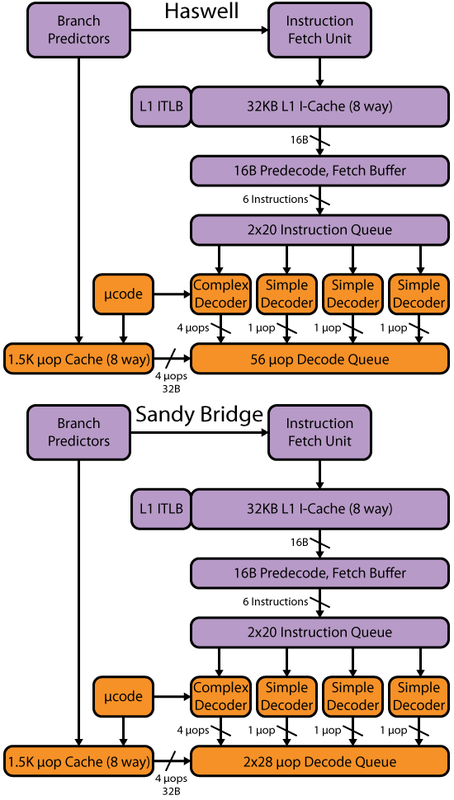 The mainstream Sandy/Ivy Bridge models are 2C/4T and 4C/4T. There are a few 1C/1T and 2C/2T models and the very expensive 4C/8T (and 6C/12T) models.